I love my Sonicare toothbrush, but even with the travel case it’s not the most compact item to bring with you when you travel. I always end up throwing a regular toothbrush into my dopp kit. Then I saw these mini (6.5″ long) sonic toothbrushes from VIOLIGHT. Just one AAA battery and you’re set to go. 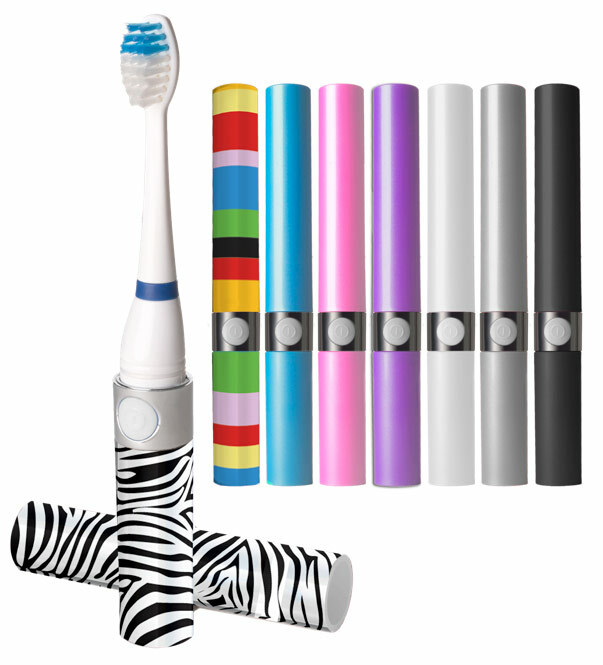 And, the brush head can be sanitized in any of Violight’s UV toothbrush sanitizers.